The raw food diet is one of the best ways to obtain a wide variety of dense nutrients and improve your health in many ways, whether you choose to eat all raw or even high raw. But these days, many just watch a few episodes of a popular YouTube channel and decide to have a go at eating raw without reading any literature and doing the necessary research. 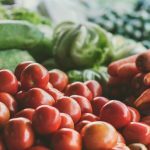 I have been coaching people eating a raw diet for over 5 years, and I see people making the same mistakes over and over again, so I decided to compile a list of those issues in an effort to save you time, health, and money. The first and most obvious mistake is that people often do not eat enough when changing to a high raw food diet. If you change to a diet of mostly fruits and vegetables, you have to eat slightly more volume, because generally speaking, plant-based raw foods have less calorie density than most cooked foods. It’s critical to understand exactly what makes up a healthy raw diet and then learn to get sufficient calories from those meals. Fruit is a healthy source of carbohydrates in the form of natural simple sugar and should form the basis of the raw diet in terms of providing your calories. When switching to eating a raw food diet, it takes a while for people to get into the habit of eating enough fruit to pick up their entire daily requirement of calories, so they tend to compensate for the lack of calories by binging on calorie-dense foods, such as nuts and seeds. For this very reason, I don’t recommend trying eating 100% raw from the start. I believe the best approach is to replace eating unhealthy cooked food by eating healthier “low fat” and plant based cooked food alternatives, until you get used to incorporating more raw food into your diet. This way, you will not binge on nuts and seeds and you will have a smooth transition. I do not recommend a diet exclusively made up of fruit, nor have I ever. This is because everyone I have ever met who attempts to sustain him or herself exclusively on fruit for an extended time runs into serious health challenges. Fruit is a great source of energy and vitamins, but it doesn’t contain enough minerals to be a balanced food. Plenty of green vegetables must be consumed to provide those essential minerals, such as calcium, magnesium, and sodium. Not getting enough rest, sleep, relaxation and time to recover is one of the biggest mistakes I see people make when trying eating a raw food diet. It is important to listen to your body. If your body asks you to rest, you should rest. You can’t compensate lack of sleep by consuming stimulants. Lack of sleep compromises all other human functions, including physical, emotional, mental, spiritual, and social ones. Our bodies develop through use, and they waste away through disuse. Let’s also stress the fact that a raw-food program is actually a high-energy diet. It is compatible and really works if we add plenty of physical activity to our daily routines. Eating a healthy raw diet should provide you with all the nutrients you need. If, for some reason, you’re going through undue stress and need more vitamin B, for instance, you could correct the problem by taking some supplements and then making the necessary lifestyle and diet chances to correct the underlying problem. Supplementation should not be used regularly, but rather as a supplement in exceptional cases and only if necessary. Health is the natural outcome of living healthfully. Health has to be earned – it can’t be purchased in a bottle. Raw drugs include various supplements and super-foods, which are sold in the raw food movement for their “energy-boosting” properties, just like various caffeinated drinks are sold for the same purpose. We must emphasize, however, that energy doesn’t come from stimulation. It can only come from sleep and as the outcome of healthful living. It is too common in the raw-food movement and in the natural health field to see people completely obsessed with their diet, stressing over it, and forgetting about the other important aspects of life. Eating raw is not the only criterion when it comes to healthy living. You must remember that in order to thrive in good health, there are other elements to our wellbeing that are as important as food, such as good rest, exercise, mental balance, and so on. Therefore, you should never be fanatical about food alone, because you will be missing the point. In Natural Hygiene, we say “your health is as strong as its weakest link”, which means that you can eat the most perfect raw food diet, but if you aren’t getting enough sunlight, for instance, you’ll suffer from a vitamin D deficiency, which could kill you! Wow i’m not rawroodist but i’m reading a lot about it. I’m not living a healthy life and i don’t know where and how to start. I always look at the people that living healthy lifestyle and feel that i’m not in the good direction i my life. Thank you for your article and shering your knolage. Thanks for your comment mate. Sign up to my mailing list and you will get some directions of how to start. It is irresponsible to suggest to people not to take supplements, especially B12! B12 is found mostly in animal products, so a raw vegan diet is insufficient to provide all of what the body needs. I know several raw vegan people who ended up with permanent nerve damage (the consequence of low B12) because of an insufficiency. And you can supplement b12 with seaweed and nutritional yeast instead of lab made supplements. Beth… B12 does not come from animals. It comes from the earth/ground .. But as our soil lacks vital nutrients we have to give animals a b12 supplement as well. Read an article the other day that when it comes to B12 vitamin, we seem to know too little about it. The article suggested that meat eaters do need it to break down the animal tissue in comparison to vegans who do not eat animal products and hence are not in need of much b12. Very interesting suggestion. Any thoughts on that? The article suggests there is an issue with Nuts and Seeds but doesn’t make clear what that is. Are you talking about it in a sense of too many calories in them for someone to lose weight. I’ve just moved over to a raw food diet. Some of the Raw food uncook books include a hell of a lot of Nuts and seeds as replacements. I’ve been mostly raw for several years now. Seeds and nuts can be difficult to digest and so cause some toxicity–for me, in the form of skin anomalies. My method right now (always evolving base don what my body tells me) is to use seeds and nuts as condiments, not as staples. Great article. I’m especially guilty of number 7. I would add as 8th–not staying well hydrated. My husband and I both tend to think we’re tired and hungry when we’re really just needing hydration. We’ve started making great veggie and fruit juices with a masticating juicer and that helps remind us to hydrate. But we still need to work harder on drinking water between meals. Sometimes we add a little Himalayan salt to a glass of water–poor man’s mineral water. That helps too. So refreshing to find someone not sellng zillions of supplements. Hi, Thank you for the article! I try to eat raw, but I get very full after eating 3 apples, what should I do if I get so full? Secondly, is it possible to get gas from eating fruits (only) ? and how to solve this problem? Chew chew chew, make sure you have really activated your saliva before you swallow. Thanks for the article. My biggest mistake in the past was lack of exercise. Thank you, I am glad I am able to help. Thank you for this article! You don’t know how you helped me!! I have been 75% raw and 25% cooked vegan since 2013! I decided to make it my life style because I had been suffering with periodic constipation. This lifestyle practically cured it! However, after having knee replacement surgery, I gain what I lost and some more besides! I do have a tendency to eat a lot of nuts and seeds and don’t hydrate enough especially during winter. In winter, the more water I drink, I have trouble keeping warm. This happens even if I drink warm water! I have been trying to figure out if this is because of some deficiency of some kind? What are your thoughts on this? Eat more fruit and do more physical activity is the short answer. Eating lots of nuts and seeds is not good. More fruit is the way. Over usage of nuts and seeds is not advisable as it throws you omega 6 and 3 off. It is a trap raw foodists fall prey to as they seek healthy forms of protein. Dark leafy greens are a far mire bio-available source and don’t affect your omega balance. The book “Raw and Beyond” covers this beautifully. Curious to hear what people run into? Interesting debate on seeds and nuts. I find that I tolerate them better if I soak and pour off, sprouting the seeds. Then I make nut milk and strain the fiber. If I am camping, I still soak and pour off and I peel the outer brown part off of almonds and filberts before eating them. The theory is that the phytates are in the husks and skins. I’ve also had good luck with hulled hemp seeds soaked. Great article ! Finally someone understands the basic truths of Natural Hygiene and is able to distill it into practical advice. We live in a planet of poisons, from glysphosphate to nuclear toxins, so vitamin c supplementation is necessary to protect the cells from these toxins. Also, use fermented foods to keep the gut healthy, especially if you eat a lot of non-organic foods. Read the book “how to get well” by doctor Airola. It is available on amazon for a few bucks. BTW, Dr. Airola is the father of modern juice fasting. He studied around the world for folk remedies etc. On hydrating in winter, I’m finding lightly heating my water for tea helps me stay warm. I have very little body fat, so I need this. I also use coconut butter on my salads and in my smoothies and yogurt made homemade seeds and nut milks (seeds and nuts soaked and poured off first). This ballast plus a little iodine supplementation is making a real difference this winter. I don’t understand what is wrong with fruit. 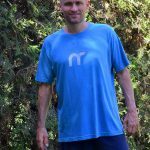 I became raw vegan two months ago due to serious illness. Graves disease and much more. I can feel the problem with nut digestion and read a considerable amount about what balance of fruits and veggies to eat. Over time, I spent at least five weeks of my life at optimum health Institute, based on the Ann Wigmore protocols, similar to the Hippocrates Institute. For me it is too complicated to be sprouting, making rejuvalac, dehydrating and constant colonics. I read the book 80-10-10. It was suggested to me by a raw food coach who also does not have the extensive kitchen and appliances. It seems to me that as long as you practice proper food combining that fruit is good for you. Admittedly, I do need to be strict about food combining, particularly anything involving fats, nuts and seeds. Also admittedly, I am experiencing severe detox symptoms that include not being able to sleep. I just don’t have it in me to do all the kitchen work and fruits seem to be an easy way to get nutrition. I always add a large handful of greens to my fruit smoothies and always have a large salad for dinner. What is wrong with this? Why can’t I sleep? When will I get over my detox symptoms? Try also yoga and energy work. I have been a vegan for over 35 years and all raw for the last 2. I am 70 years old. I have found that adding yoga and energy work to my health regimen has really improved my sleep, digestion and general feelings of well-being. Also, don’t eat meals within 2 hours of bed and stay hydrated. I disagree with you over the fruit issue. Humans are actually frugivores and MANY people are maintaining excellent health by being frugivores. I am a raw foodist not yet a frugivore. I have utmost respect for those who succeed at it. So I ask you to keep an open mind and not give out inaccurate information. It would have been more appropriate to say that there ARE individuals who are frugorivous but that like going raw food it takes time, energy and self education! This article is excellent Ariel…..my question is this, when you’re trying to heal cancer shouldn’t you consume 100% fruit? I am very much an advocate of Dr. Robert Morse and he teaches that 100% fruit is the ONLY way to heal cancer along with deep healing herbs. Do you agree with this opinion or do you think cancer can be healed with an ALL raw diet….meaning fruits AND vegetables? Thanks for your comment. Food does not heal, only our bodies can heal. Good health embodies much more than eating the right food. I don’t agree with 100% fruit diet. Greens, vegetables and healthy sources of fats are essential nutrition. I respect the work of Naturopaths but I don’t treat herbs as “healing” foods of great importance. My comment is on nuts, they can be included as they contain enzimes that are good for us. But to benefit from them, they need to be soaked before including them and no more than a small handful per day. I also feel that herbs and spices are a good addition. I have some serious health problems and follow an almost full raw fruit and veg diet. I do eat one warm dish a day but finish with raw. However, I believe one should listen to the body and adjust accordingly. Thnk you for your artices and recipes and sharing your experience with us all. Good wisdom, Suzi. Always listen to your own body. Have you tried making nut milk yogurt with presoaked and poured off seeds and nuts? It’s pretty easy. I use Lou Corona’s probiotic powder, but any good probiotic will do. It makes the nuts and seeds more digestible. Your list totally fits my personal experience of vegan for 20 years and lots of 6 plus years of 100% raw. Great article. You said we don’t have to overeating nuts and seeds . What does overeating means? For example , if I eat every morning (or afternoon) 4 hydrated walnuts are too much ? I like to eat them at work along with 1 banana. I have an autoimmune disease and I like walnuts very much . Thank you in advance . I don’t think eating 4 hydrated walnuts every day is too much. Your overall fat intake (in percentage of calories) should keep around 8-12%. 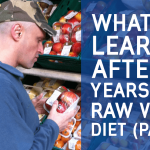 If you get raw, it is the deadliest to follow the ideas of traditional nutritionists. Eat, what your body asks for. The first time, if you follow your appetite, sometimes you will fell a need for tons of bananas, apples or salads or any other plant. That’s because your body is in very need of substances, he only knows what and where to get. These things will have a heavenly taste while your body is in need. When its enough, the same tastes nothing or even like pepper. Follow your body, i.e. your taste, your smell. That´s the way to eat raw. Thanks so much for the article, i have been vegan for 2 months now and i am really enjoying the variety of food but i am battling so much with my stomach and the pains and cramps that i am getting daily. I have been eating beans, chick peas and lentils to get my daily protein. I have also been eating lots of different veggies and salads. I have been eating brown rice and gluten free vegan bread. I am a personal trainer so i exercise a lot and drink plenty of water and taking my collagen vegan protein supplements as well as omega, magnesium, vitamin d and vitamin B every day. My questions to you is what can you suggest i do to help with the cramps and uncomfort i am experience which i am assuming is from the legumes and i have never eaten much of them before.